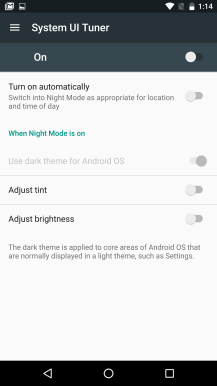 In the M preview, Night Mode was in the developer settings. This time it's part of the system UI tuner. 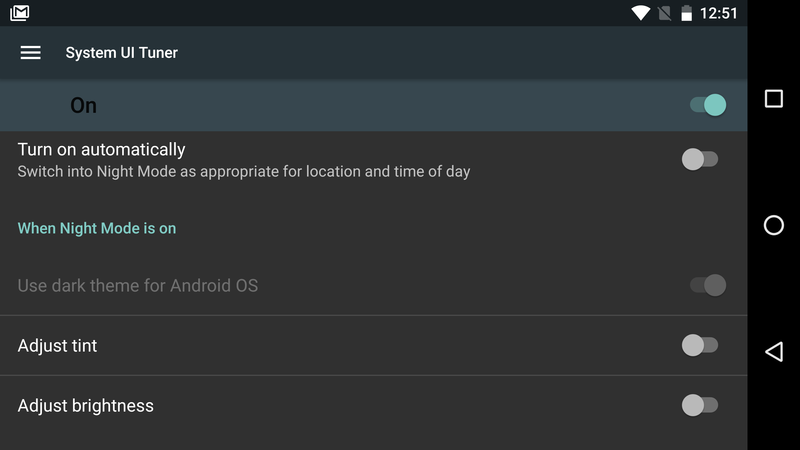 You enable that the same way as before—long-press the settings shortcut in the quick settings, then head to the bottom of your system settings to click through the warning. You're looking for Color and appearance > Night Mode. 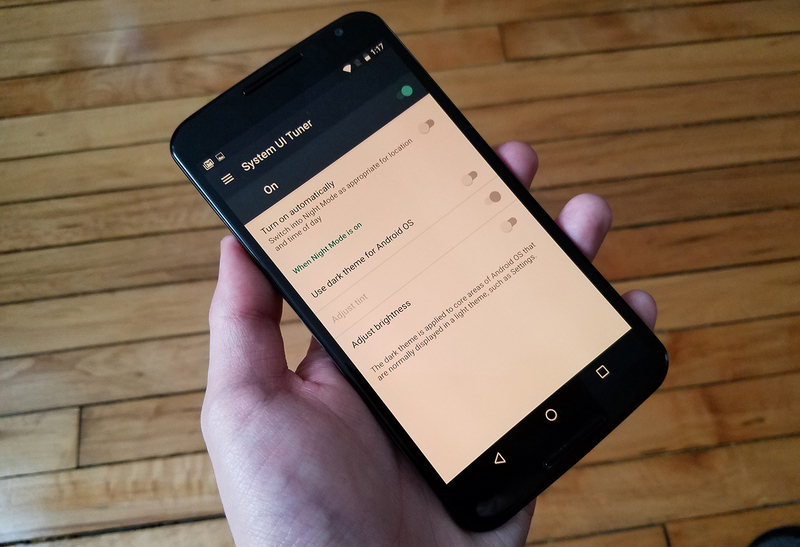 There's a toggle at the top to turn it on and off, then below that is the toggle for automatic activation. This was available last year, but it wasn't explained well at all. 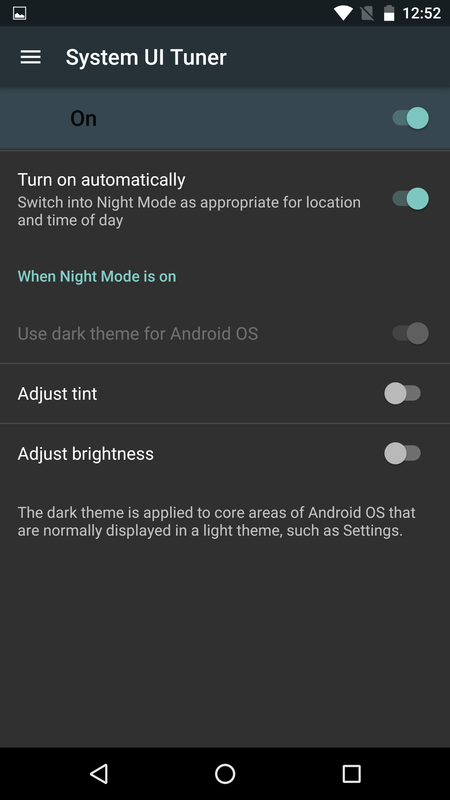 The phone will switch on your Night Mode settings automatically when the sun sets in your current location. 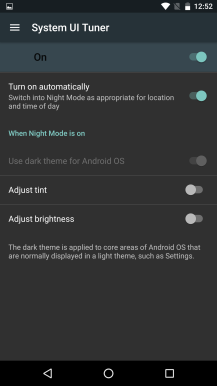 The bulk of the settings are under the "When Night Mode is on" heading. You can have the OS use a dark theme, which was the only feature in the M preview. 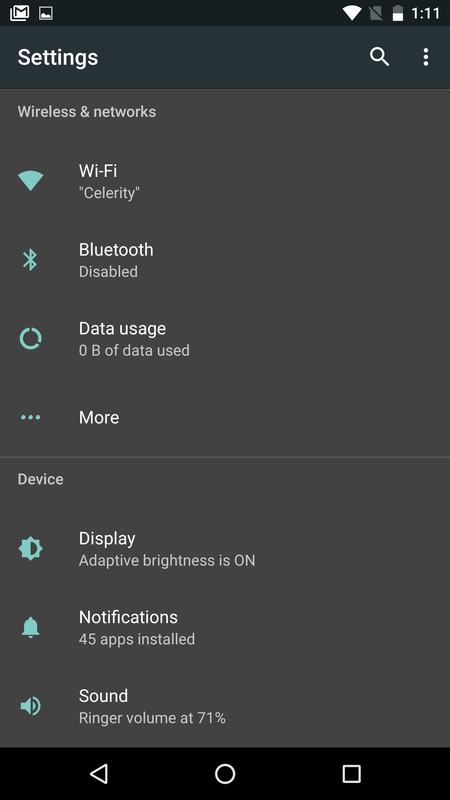 Joining the material dark settings theme is an option to adjust the tint of your display. That applies a red filter to the entire OS, sort of like the Twilight app but more efficient because it's (probably) happening at the GPU level. See below for a picture (the filter doesn't show up in screenshots). There's also a feature in Night Mode to automatically lower the brightness. 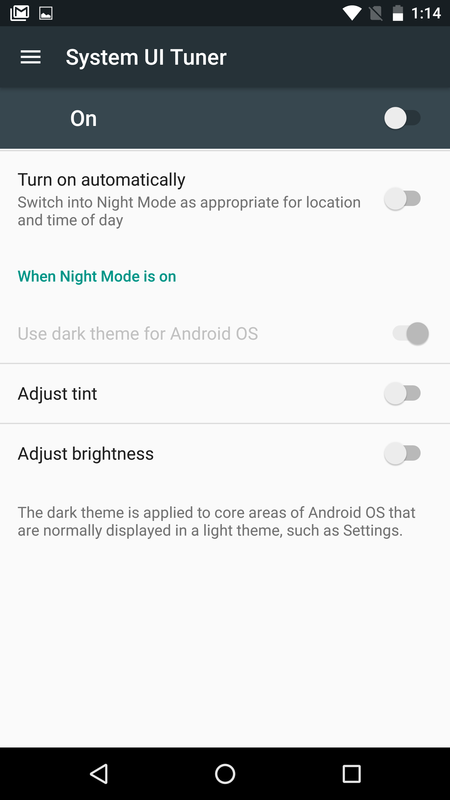 What's particularly cool is you can use any combination of these three features when Night Mode is on. If you want the light UI but a red filter, no problem. 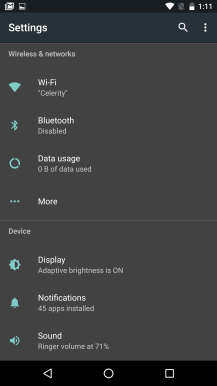 Dark UI, no filter, and low brightness? Also doable. This is still a developer preview, but adding Night Mode to the UI tuner at least makes it seem more official. Not that UI tuner features can't be dropped before release. Let's hope it makes the cut this time. Be aware if you try it, the toggles on this screen are pretty buggy right now.